Directions Directions for use enclosed. 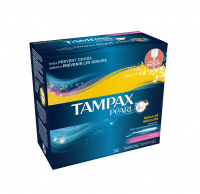 Tampons come in standardized industry-wide absorbencies. Use the chart for comparing absorbencies of all industry products. 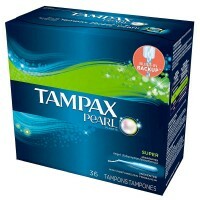 The risk of toxic shock syndrome (TSS) increases with higher absorbency. In order to reduce your risk of TSS, you should use the lowest absorbency that meets your needs. Super: 9-12 grams. Uses New LeakGuard Design. LeakGuard Channels guide fluid to the absorbent core to help lock it away. New LeakGuard Braid design for amazing backup protection. FormFit Protection gently conforms to your unique shape. Smooth, rounded tip for comfortable insertion. Discreet, purse resistant wrapper with easy-to-open tabs. Plastic applicator with Anti-Slip Grip. Our best protection ever.